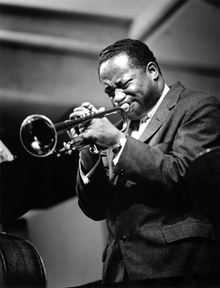 Born in Delaware in 1930, Clifford Brown began exhibiting extraordinary expertise on the trumpet in his early teens. His rich tone, virtuoso technique and graceful style kept Brown continually working and growing in popularity. He was especially noted for his ability to improvise in long, melodic phrases.